Here is our catalog of web cams from around the Texas Hill Country. Click on the gallery subject and jump right to that cam. Enjoy! Depending on your internet connection speed, these cams may take a while to appear. These cams are mostly dark at night so not much can be seen after dusk. Because of weather conditions and telecommunication/internet factors, sometimes we won't see images. Wind can shake these cameras, often perched on a pole mounting, causing a fuzzy image. Sometimes, being electro-mechanical devices, they "hang up" and await a re-boot. Enjoy them for what they are, an opportunity to see near-real-time scenes throughout the Hill Country. 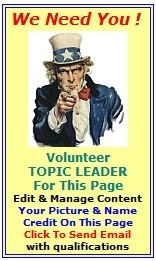 To see full details about the corresponding topic profile and city/area, click the links shown. Stay tuned, many more galleries coming soon!